SpyApps is a robust tracking tool with a few truly amazing features. It is extremely simple to use, probably one of the most easy spy software I’ve tried. Also, their customer service is responsive and helpful. What I truly enjoy about SpyApps is that it enables you to monitor iPad or an iPhone without having to jailbreak the apparatus. As with other spy telephone programs recorded here, it has all the basic features, such as the ability to spy on text messages, track GPS location, and monitor instant messages. But in addition, it has some unique characteristics that make it stick out in the group. Let’s take a gander at these characteristics. – Get the names and numbers of all SMS receivers and senders. – Get the date and time stamps of each SMS message. Are you worried about your children constantly tapping away on their cellphone’s display? Can you want you could know what they are consistently texting around? Are your workers using SMS messages as a way to prevent work? SpyApps lets you be aware of the truth about any SMS chat conversations which can be carried out on the target cellphone. Simply logging into your SpyAPps control panel gives access to their details and all SMS messages to you. – Social Media Monitoring: Screen WhatsApp, Facebook, Twitter, iMessage, BBM, Skype, Viber, Instagram, and Email. – Real time GPS Tracking: Understand where the device is at all times with GPS-tracking technology. Location is shown on a map within the control panel. Initiate a secret picture which is sent to your account to be taken by the phone’s camera. – Call Tracking: Monitor incoming and outgoing phone calls, date and time of calls, phone number of person calling or being called, and also have a running log of most phone calls. – Pictures & Video Log: View pictures & videos taken on the cell phone that was tracked. – Browser History: See every one of the websites they visit on their phone. – Contacts and Schedule: See calendar entries and new contacts. – Text Message Monitoring: Record and monitor all SMS text messages. At the top of your list, SpyApps should be for anyone in the market to get a low cost spy program for Android. It ’s quite easy to use and does not require any special settings. Plus, when you buy the software, you get free updates for life. I made use the service of cyberexpert101 after I saw someones recommendation about him. Lo and behold, I contacted him and he did a very good hacking job for me. 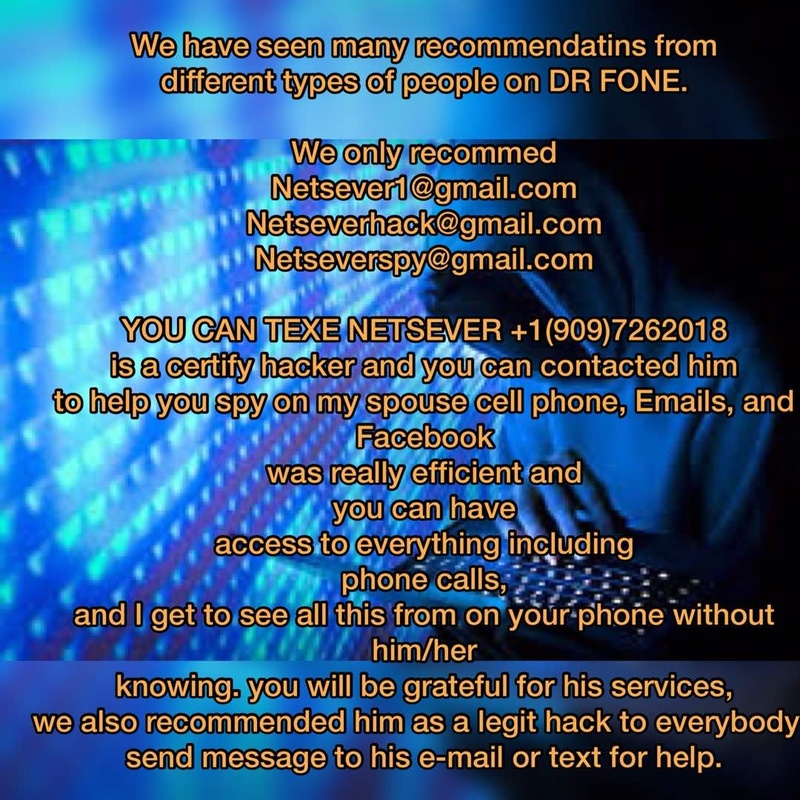 he does various hacking services like monitoring a phone, calls face cook, WhatsApp, emails, text, WhatsApp .He could help you gain access to your partner device and spy on them,you can know alot about someone through there device and email, he also does lots more hacking jobs. he his truly a genius at what he does. Contact him cyberexpert101@gmail.com for any hacking assistance. I have always been very skeptical about intruding on others privacy, loved ones or colleagues. However we all know curiosity can get the best of us at times and only by knowing the truth on some hot-button issues do we truly find peace and closure.I decided to feed my curiosity and give it a shot. After a long tedious search and being short-changed by incompetent hands, I stumbled on probably the most reliable hand **Enriquehackdemon11 (@) gmail ( . ) com **What got me most was his offer of a total refund within 24 hour of any unsatisfactory service but I didn’t have to use that option cause he got the job done! have you ever needed a professional private investigator..his the best in detecting lies and knowing the truth about infidelity, plus he can get you any type of information you need on any device. Email-Williancyberghost@gmail .com OR TEXT +1 908-679-9717,CALL +1 973-298-5449 tell him Jessica referred you. our charges less and gets your hack done. contact now….. I was introduced to netseverhack@ gmail. com because I really wanted to know how sincerely my husband is I can’t believe for just couples of hours I started receiving my wife social media message and calls right from my phone without her detecting netseverhack@ gmail. com is my savior.